What is an arrhythmia of the heart and how to treat it? Symptoms of arrhythmias occur in a period of life in almost every man. It can reduce the efficiency of heart up to 30 percent, and sometimes cause sudden cardiac death. In addition to the treatment prescribed by a doctor there are preparations based on medicinal herbs, and you should not ignore the importance of proper nutrition. 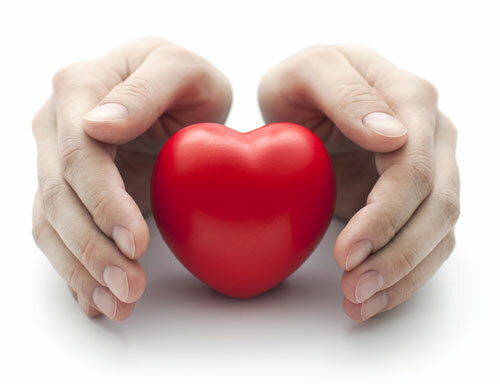 Find out what is arrhythmia and how it should be treated. Heart rate over 100 beats or sinus tachycardia is often the result of physical exertion, fever, and mental tension, increased activity of the thyroid gland, excessive intake of alcohol, nicotine and caffeine. Slowed heart rate –bradycardia occurs when the heart has less than 50 beats per minute, it can occur due to reduced thyroid function, jaundice and aging or under the influence of certain drugs. Symptoms that occur are: irregular heartbeat and irregular heartbeat, feeling flicker in the chest, chest pain, dizziness, fainting, fatigue, malaise, loss of consciousness. NOTE: in the case of these symptoms you should contact your doctor, if blackouts occurred it is necessary to immediately go to the nearest health facility. What are the causes of arrhythmia? Heart disease (angina pectoris, myocardial infarction, heart defects, heart muscle weakness. As well as a variety of infections, loss of minerals and fluids from the body. If you develop any of these problems while sitting, lying down and resting in many cases it comes to anxiety in which arrhythmia occurs. Be sure to tell your doctor in order to accurately determine the diagnosis. We recommend that you read the text: natural treatment for depression, anxiety and stress. Is it dangerous to have an irregular heartbeat? Although most arrhythmias are harmless, it should not be accepted lightly. Slow or fast heart rate from year to year, laments the growing number of people, as well as cardiovascular problems that are also on the rise. Symptoms in every person cause some discomfort and inconvenience and it is certainly advisable to do all the necessary diagnostics and adequate treatment. How to treat heart arrhythmias? In case you have symptoms of arrhythmia and if there is a significant rhythm therapy is used in order to reduce the frequency of beats, because dangerous complications may occur. It is important to determine the trigger of rhythm disorders (stress, caffeine, insomnia, alcohol, and smoking) and thereby eliminate them all. Official medicine applies Anxiolytics with beta-blockers if there is no associated heart problems otherwise used is calcium channel blockers and antiarrhythmic drugs. Mix equal parts of common motherwort, lemon balm and hawthorn flower and leaf. 3 tablespoons of mixture pour with 7 dl of boiling water and leave it to stand covered for 30 minutes. Strain and then drink a cup of this tea three times a day before meals. Take 3 tablespoons of the mixture of herbs and pour them with 7 dl of boiling water, cover and let it stand for half an hour. Give it a good strain and drink three cups a day. 3 tablespoons lemon balm pour with 7 ml of water and let it stand for 30 minutes. Strain and drink 3 cups a day, always before meals. 3 x daily drink 15 drops of tincture of hawthorn diluted in a glass of water or tea (it can be purchased at a pharmacy or health food store). Avoid hot, salty, oily and supersaturated food, snacks, sweets and puff pastry, sweetened juices and alcoholic beverages. Do not eat too cold nor warm food. Recommended is dietary fiber which largely contains fresh fruits and vegetables, whole grains, skim milk and dairy products (yogurt, kefir, etc.) or low-fat and lean meats and fish. Use olive and preferably linseed oil containing healthy omega 3 fatty acids. Getting enough fluids in accordance with the needs of your body, because reduced amounts cause dehydration of the body, while too much can lead to hypertension. Cardiac arrhythmia requires commitment even in preparation of food, so do not eat larger amounts all at once, but divided them into 5-6 meals.